A reflection by a former delegate from First Lutheran Church of Duluth, partnerned with San Antonio Los Ranchos in El Salvador. I did want to write a short message reflecting upon how the delegation trip in 2010 has left an impact upon my life. 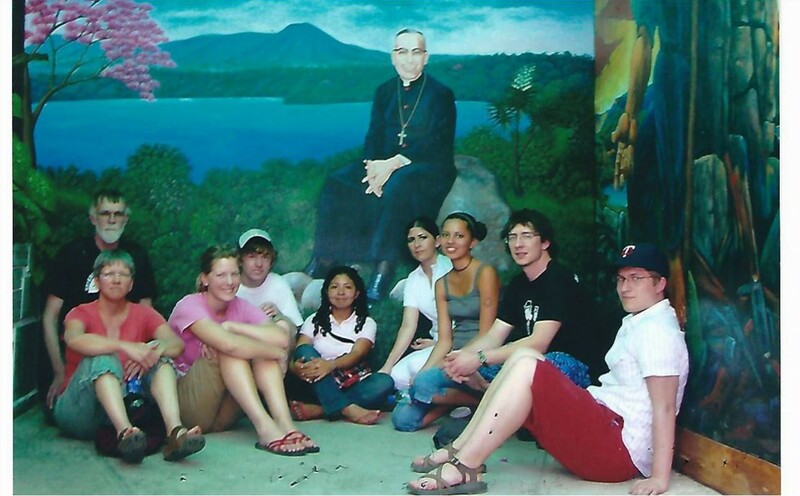 I’ve shared this with many people, including members of my present congregation, but in a big way, the Sister Parish El Salvador trip was one of the deciding factors for my enrollment in seminary to pursue ordained ministry. As we learned about Archbishop Oscar Romero and how God took this relatively soft-spoken, bookish priest—hardly one to rock any boats—and led him to encounter the risen Jesus Christ among the Salvadoran people who were experiencing such hardships, so much that his heart was changed and his heart became one with the heart of the people, I found that if God could take this imperfect man and change the world through him, God could certainly work through me. I enrolled in an online seminary program several months after returning and have often spoken of this delegation trip while discussing with others my call to ordained ministry. This entry was posted in Delegations, El Salvador, General, North to South and tagged delegate reflections, delegations, duluth, los ranchos, north to south, Romero. Bookmark the permalink.